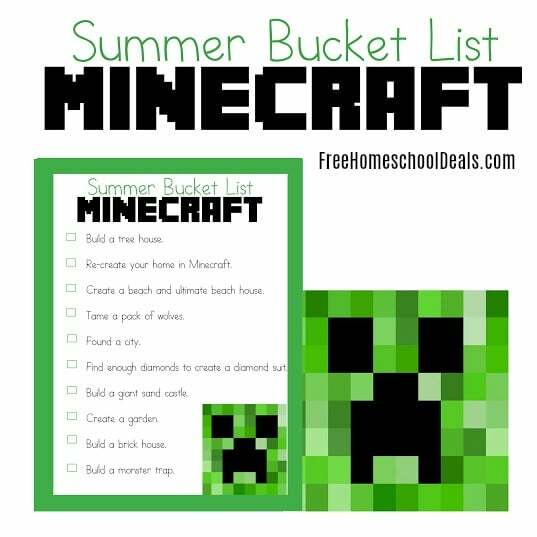 Ready to keep your Minecraft fans busy this summer? This summer bucket list has 10 challenges for your children to do. 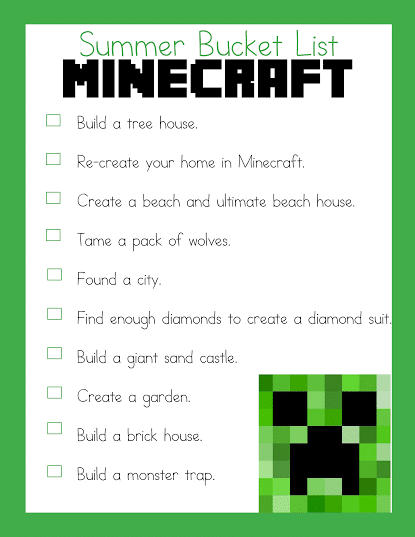 Get your FREE SUMMER BUCKET LIST FOR MINECRAFT here!